¿Revolución, No? 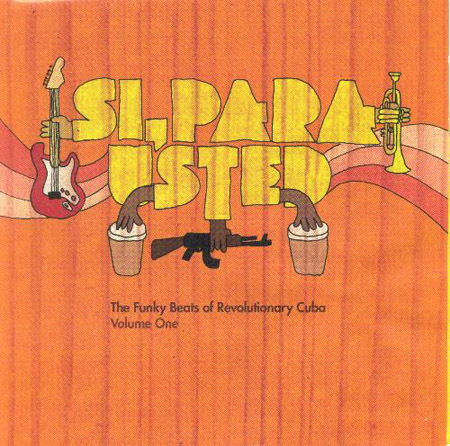 | para musica revolucionario! This one’s for all the dj’s playing out this holiday weekend. House legend Larry Heard aka Mr. Fingers “Can U Feel It ( Martin Luther King, Jr. Mix)” is the classic go to for tonight and tomorrow. Lesser known and never played, Martin Luther King by Max Romeo is another good one. And how fitting is “Reconstruction” with the inauguration around the corner? 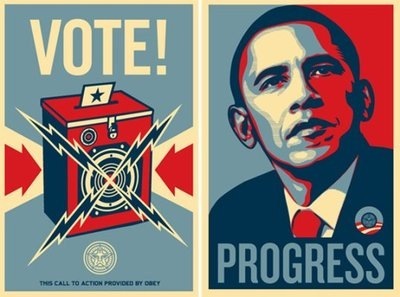 Barack The Vote! Cambio! Si Se Puede! Ok, so it’s been awhile. Over a year in fact. I apologize for the neglect, but I am back…just in time for election day. This is a big one, as we all know. I’m sure that all of you reading this all agree who needs to win this time around, so I’ll refrain from my temptations on the making any of the abundant jokes on Grandpa and his Trophy Vice, and give you what I know best…Music to inspire Revolucion, and to send you off to the voting booths. Let’s make this a landslide, so the dirty right wing tricks can’t steal another election. I’ve been rinsing out all my favorite Obama songs every night in the clubs I’ve been djing at in NYC, and a ton of people have been begging me for them. So finally, here are a few, until I get my mix done. The illest one by far is by one of my favorite Jamaican singers, Cocoa Tea. Check ‘Barack Obama‘. On the more latin tip, there’s the Mariachi band from Cali, Mariachi Aguilas de Mexico. 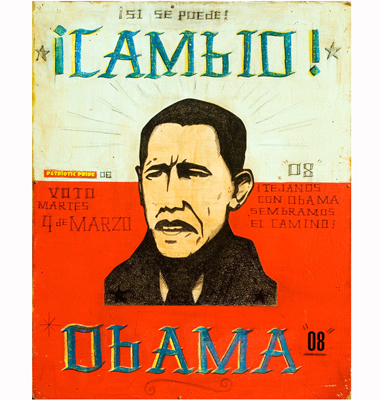 Toca ‘Viva Obama‘ to show that Chicano support. Even the Irish have an Obama anthem… belt out ‘There’s No One As Irish As Barack Obama‘ in the pubs tonight after a few pints. Still rightfully pissed about Aristide getting ousted by our current administration? Manze Dayila wrote this’Change‘ for you! The next track I’m giving you just soley on how ridiculous it is. It’s a seriously amature hip hop group called A.P.T. who take Lil’ Wayne’s ‘A Milli’ and turns it into ‘Obama, Obama’. Hilarious! Finally Taz Arnold aka Ti$a from Sa-Ra Creative Partners killed it with the Isley Brothers sample that Ice Cube used for ‘It Was a Good Day’ (hopefully will be) and flipped it into what should be today’s anthem. ‘Imma Vote Obama Way‘. On a side note, although I won’t get into all the reasons why Mccain and Palin should NOT win this election, as that would take forever, (not to mention I agree with 95% of all of Obama’s positions on the issues) I do want to say one thing. I’m really suprised on how quickly people have forgotten that Mccain voted against Arizona celebrating the Martin Luther King, Jr. Holiday 7 years in a row. (1983-1990). I’m not suprised that the Obama campaign hasn’t brought it up, as that would be stooping to McCain’s level, and they would be percieved as playing the race card. But I am suprised that people like Bill Maher, or Jon Stewart, NBC, etc… haven’t brought it up. I lived there at the time, and I remember it because there were a ton of bands that I wanted to see but couldn’t because they wouldn’t tour through Arizona because of this. Fishbone, Living Colour, and Public Enemy just to name a few. Just a reminder check PE’s ‘By The Time I Get To Arizona‘. 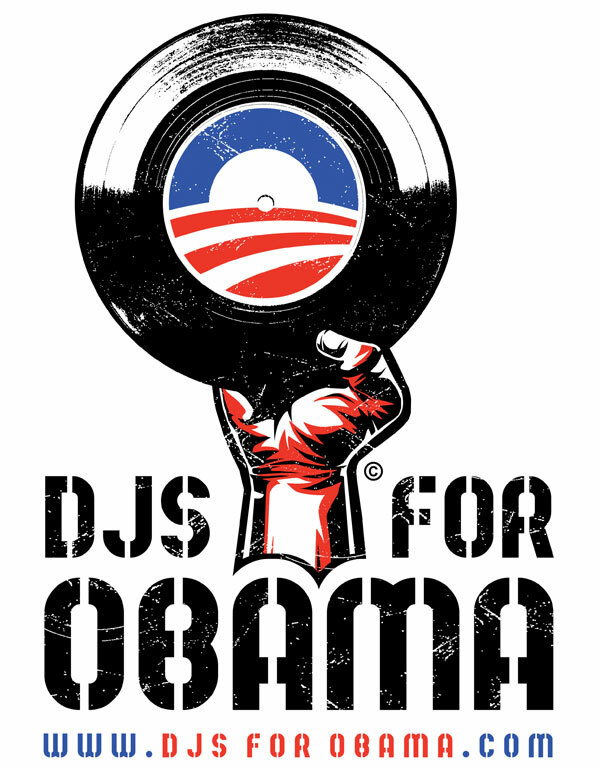 Speaking of Arizona, make sure to check my man Z-Trip‘s masterpiece Obama Mix that he’s giving away on his website. I know he remembers the Public Enemy boycot, so It’s fitting that he’s been killing it at all those Obama fundraisers now. It’s rare that we get a politician or any leader for that matter, that is this poignant and who has the potential to change the world into a drastically better place. So, turn it up, get out and vote, and make your voice heard! After Tropicalia there was complete acceptance to inovation in the arts in Brazil. 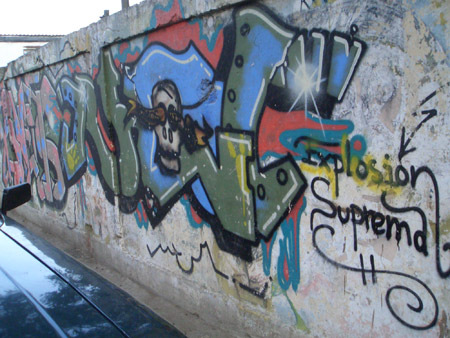 People were granted more freedom of expression, and artists were no longer censored. The political system even got better. 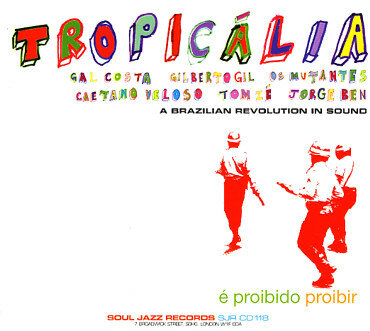 There is a great documentary that is available online that you should definately check out called ‘Brazil, The Tropicalist Revolution’. There are a ton of Brazilian blogs out there that have an overwhelming amount of rare and incredible records. You can spend days at Loronix, Som Barato, Brazilian Nuggets, Quimsy’s Mumbo Jumbo, Sabadabada, Na Onda Do Samba, Sounds of the 70’s, J Thyme kind, Abracadabra, Som Do Bom, Capsula da Cultura and Toque Musical. 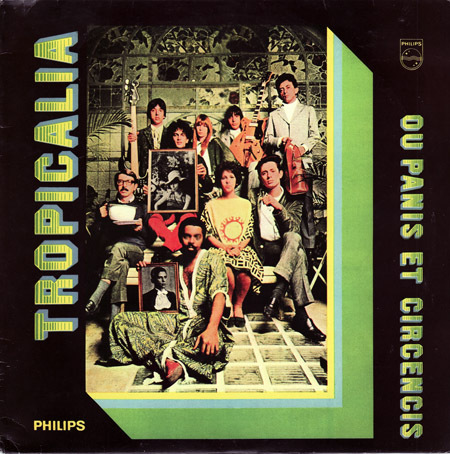 This is possibly the greatest collection of Cuban music available. 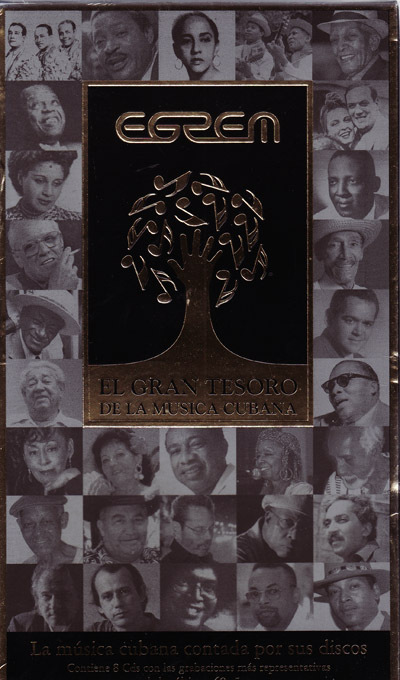 This 8 CD set tells the story of Egrem, (The Cuban government’s record lable) which was started in 1964 and is still going strong today. Thanks to Ry Cooder the studios and artists had an enormous spotlight shined on them a few years back with the Buena Vista Social Club project. By then, the lable already had thousands of releases and been in operation for over 35 years! This was and still is Cuba’s ONLY record lable since 1964. On one hand, it preserved the culture and harnessed it. The government pays the musicians to play the modest salary that everyone gets regardless if they are a doctor or street cleaner, and pays for all the recordings. Most of the musicians that you meet have no job, but to play music. Which is much better than most musicians have it here in the states! But, it is under their terms. Irakere had a rough time in the 70’s getting support from them because they had so many jazz and funk influences, and recently Cuban hip hop just won a 10 year battle for that same support. Again, as long as you don’t speak out against the government too much or embrace the capitalistic consumerism that is present in most of todays American hip hop. First off, I want to apologize for the lack of posts in the last 2 weeks. (I’ve been djing 5-6 nights a week these days) That’s why I’m going to make it up to you all… in a big way. I’ve just created a forum with the same theme of this blog. A forum to…post requests and links, get your questions answered, learn, inform, and discuss music and politics and everything in between. It’s time to get all of you involved… A true movement of the people! In an attempt to get all of you involved and get the discussions going, I will honor 1 request from the first 100 people who register. I do have 10,000 records and about 500 gigs of music to pick from, so if you request a few records, chances are that I will have at least one of them. The beautiful thing about all of this, is as more people get on the forum, the higher your chances are of someone having that record that you’ve been looking for for 10 years. Here’s the catch…you just have to become a registered user in the forum and make 2 posts (takes 2 minutes). 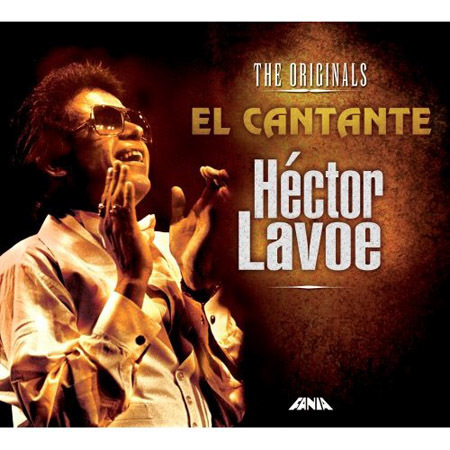 Most of you have undoubtedly heard about Marc Anthony and Jennifer Lopez’s new film with director Leon Ichaso (Pinero) about the life of Hector Lavoe ‘El Cantante‘. While I’m not really into anything that the 2 singer/actors have done so far, I think they’ve finally found their calling in this one. You can’t go wrong with a story about a kid moving from little Ponce, Puerto Rico to New York and becoming the one of the greatest Puerto Rican singers of all time. Willie Colon, Yankee Stadium with the Fania All-Stars in front of 50,000 fans…Throw in a huge drug habit (if you look closely you can actually see cocaine residue on his pinky ring), and many more tragedies unfortunately later in his life (I won’t ruin the movie for you), and you’ve got an incredible story. 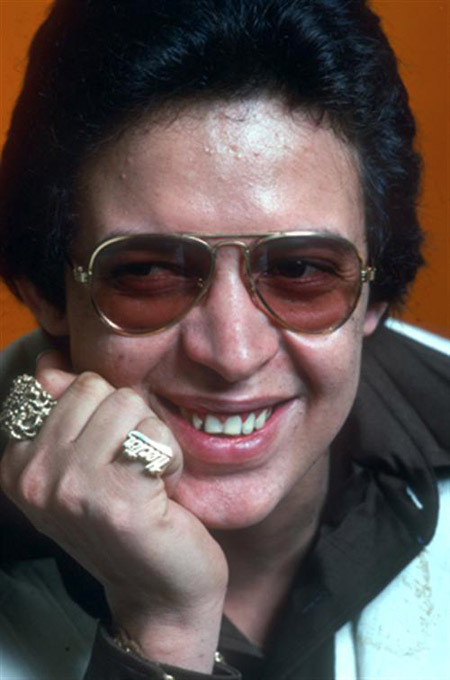 and last but certainly not least…Sun of Latin Music is in the middle of posting the entire Hector Lavoe discography!!! Make sure you go and get all those Willie Colon records that he’s featured on as well as all of his solo records. Thanks Julien! Today marks the end of Carnival in Santiago de Cuba. It is hands down the most celebrated event in Cuba, and definately the best party. (We have inside sources here at ¿Revolucion, No? that have seen first hand in 2003, during the 50th anniversary). 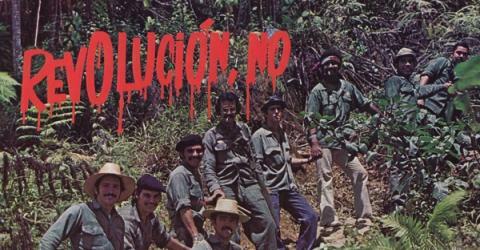 This date marks the beginning of the movement simply called El Movimiento de la 26 de Julio. This movement, led by Fidel Castro, brother Raul, and Che Guevara, originated from the failed attack on the Moncada Barracks, an army facility in the city of Santiago de Cuba in 1953. Fidel was then sentenced to 15 years in prison, but after serving less than 2 years he was released by Batista, who recieved a tremendous amount of pressure from the public to release him. Fidel reformed the movement in Mexico, which is where he met Che Guevara. Under this movement they overthrew the fascist Batista regime in 1959 and the Cuban Revolucion was born. If you do go, (it’s simple, I hear you just go to another country close by and buy a ticket from Cubana in cash, and when you get there ask them not to stamp your passport. When you do go, bring lots of cash. Don’t use your credit card…otherwise they have proof that you’ve been there…so I hear) you will hear an incredible amount of music. The whole buena vista social club son thing is everywhere. Sundays, there are rhumba’s everywhere. Santeria rituals everywhere (especially in Santiago), and live salsa bands performing outdoors, and in clubs all the time. Los Van Van, Grupo NG, etc… There is also a big underground hip hop movement there. Granted some of them unfortunately listen to lil jon, and 50 cent, but most are into the conscious thing (i.e. 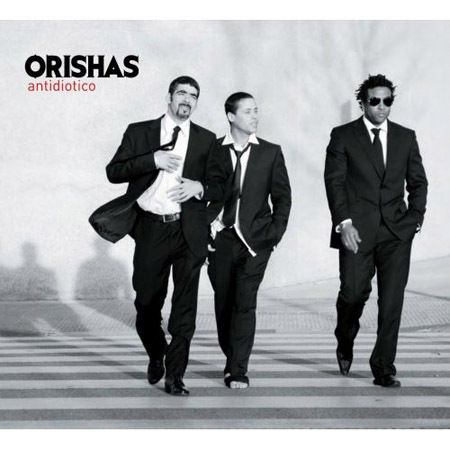 Common, Talib Kweli, Dead Prez, etc…) Most of you know the Orishas, who just put out a new record Antidiotico which is kind of a greatest hits record with a couple of new singles/re-works. They’ve since moved to France though, so you won’t see them there. You should, however look for Anonimo Consejo, Aldeanos, Danay, Explosion Suprema amongst many many more. I’ve put together a collection of unreleased material that I got directly from them while…um…someone from the ¿Revolucion, No? office while he was there 2 years ago. He was there for a few weeks working with Danay y Aldo, after an introduction from Pablo Herrera. It is given to me in good faith, so I’ve just included one song from each artist as an introduction to them. So if you like what you here go out and support them. I’m actually working on original material with them right now, so look out in the future…. Un Verano En N.Y. !!! y mas de la Sol de Musica Latina! The massive Eddie Palmieri post!